PTS strength coaches use the most effective training methods that are specifically designed to give you the tools you need to lose body fat and dramatically improve your body composition. 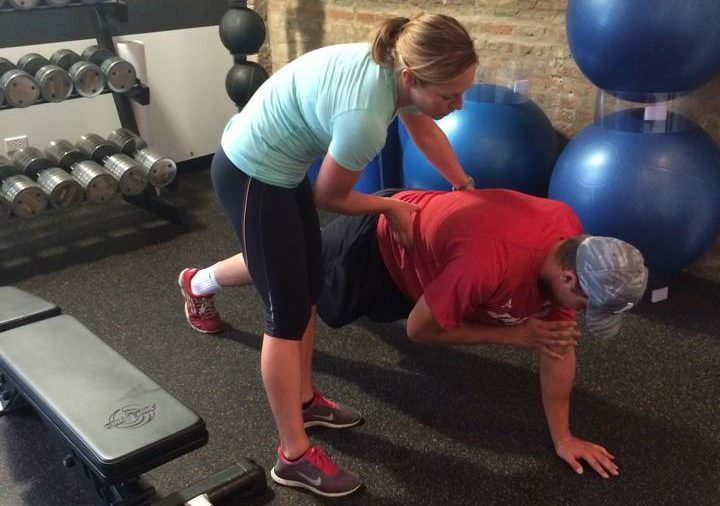 Individualized personal training and program design is the fastest way to achieve your goals. The need to stay lean and maintain a healthy lifestyle has never been more difficult. Our society is plagued with countless ways to enhance obesity, diabetes, metabolic syndromes and heart disease. As a nation, average body fat percentages are rising and continue to rise at alarming rates every year. Our goal at PTS is to provide the right type of training program for you that is efficient and gets the results you want. The PTS philosophy is that recreation is fun and exercise is for producing results. Keeping this in mind, we ask all of our clients to work to the best of their abilities to develop a sense of progressive overload. Progressive overload forces your body to make physiological adaptations. Without these adaptations a person may never reach their goals. One of the defining characteristics of PTS coaches is the ability to distinguish the work capacities of different clients. This gives us the ability to train at a high enough intensity in order to get results, but not too high of an intensity that it causes overtraining or stagnation. We demand dedication and discipline from our clients in order to make results. If you are serious about achieving your goals and ready to work hard, our program is right for you. The cost per training session is based on the level of coach you work with. Please email us for session rates.